Welcome to 16th Regiment Of Foot! We are a British Line Infantry Regiment based on melee.We will try to provide a great community for our members that will make them feel welcomed here.Our main goal is not just playing Mount&Blade but having fun playing without trolls and very strict rules either.Also we want to imrpove the skills of every member of our regiment so they can enjoy more the game and feel better for themselves.As every regiment we have a rank system, that will be shown below.Ranks will be given to those who try to improve themshelves and the regiment using their own ways.Being in the regiment for quite sometime will help you a lot but if you show your loyalty you will be awarded soon.Thanks for passing by our thread and reading about us. The regiment that would become the 16th Regiment of Foot and later the Bedfordshire Regiment was initially raised during a period of turmoil in Europe. In the late Seventeenth century, Europe was in the grip of religious, military and political upheaval, with several major powers vying for supremacy and the emerging American continent about to rear its head. Not four decades earlier the English Civil War had been fought, the Thirty Years War in Europe had finished as had an eighty year war between the Netherlands and Spain. The Ming Dynasty had come to an end in China, war, famine and plague swept Europe and the New Worlds of America, killing huge numbers of people. Only two decades earlier the Bubonic plague swept London, killing an estimated 100,000 people, closely followed by the Great Fire of London one short year later. Until the English Civil War, no standing army existed in England, with armies being raised on an ad-hoc basis when needed. Parlaiment's 'New Model Army' was effectively the first permanent army but was disbanded when King Charles II reclaimed the throne. 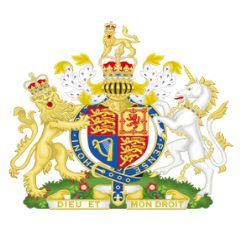 1661 saw the first permanent Regiment of Foot raised by Royal Warrant, and several more followed in the next few years, which would form the foundation for the growth of the English, and later the British Army. 1685 saw ten new Regiments of Foot raised in England, which would later become the 5th to 15th Foot inclusive. Despite many achievements and much progress being made, including Isaac Newton's "Mathematical Principles" being published, the 1680's saw numerous wars, sieges, plots to overthrow and assassinate various royalty and heads of state. By 1688 King Louis XIV of France had the Grand Alliance of England, Spain, Holland, Sweden, Savoy and the Holy Roman Empire arrayed against him and was at war with almost every European power. During the autumn of 1688 and following his "Declaration of Indulgence" towards Catholics and nonconformists, King James II was facing the threat of the Dutch William, Prince of Orange who had brought an army to England on the behest of seven English Lords. The King was in a precarious position and, in response he authorised the raising of more new battalions of Pikemen and Musketeers. The first of these was raised by the distinguished veteran Scottish soldier Archibald Douglas and, although initially named after the Colonels who commanded them, this regiment would in time become the 16th Regiment of Foot. 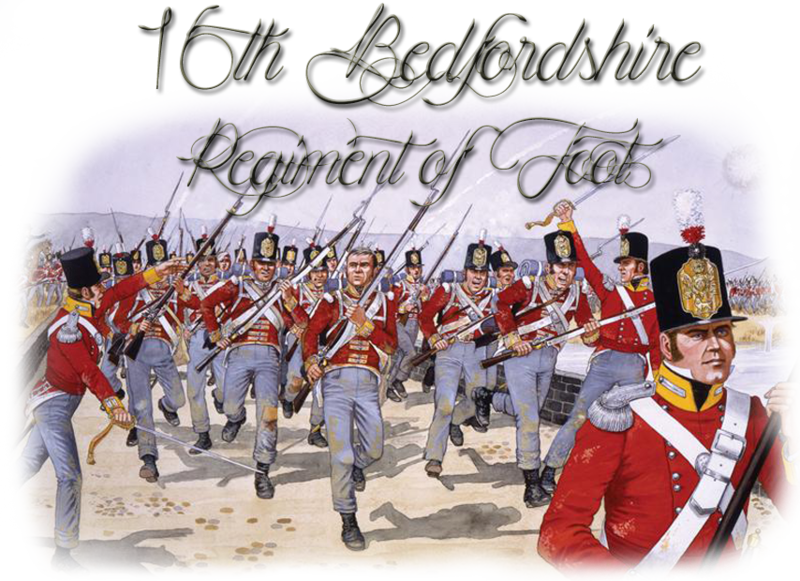 In 1809 titles were exchanged with the 14th (Bedfordshire) Regiment of Foot at the request of its colonel who held substantial lands in Buckinghamshire, after which time it became the 16th (Bedfordshire) Regiment of Foot. The regiment took no part in the Napoleonic Wars that was being fought on the continent of Europe, being stationed in England, Scotland and Ireland before sailing to Canada in 1814. It returned to England in August 1815, moving directly to France to form part of the army of occupation following the final defeat of Napoleon. In 1816 the 16th Foot moved to Ireland, remaining there until 1819. In 1820 the regiment began a long term of colonial service. It was stationed in Ceylon (now Sri Lanka) until 1828, when it moved to the Bengal Presidency. It returned to England between December 1840 and January 1841. In 1843 it took up garrison duties in Ireland, remaining there until 1846 when it moved to Gibraltar. In the following year they moved to Corfu, forming part of the garrison of the United States of the Ionian Islands, a British protectorate. In 1851 the 16th Foot returned to Jamaica, moving to Canada in 1854. It returned to the United Kingdom in 1857, where it was initially stationed in Ireland and moved to England in 1859. Looking great mate, best of luck! "Just keep stabbing he's gonna die eventually"
Re: 2nd 'Queen's Royal' Regiment Of Foot [EU] Recruiting! Re: 6th (1st Warwickshire) Regiment of Foot [EU] Recruiting! Working on headers in NW is like working on formula 1 2016 engines for 2017. I think 6th is not taken?